16 December 2017 by . Father Tomislav: Dearest Brothers and Sisters; tonight’s reflection has the title “Recapitulated in Jesus Christ through Mary”. It is a summary of all that we have explained from the beginning. The last period of preparation for Christmas has begun and, through this Christmas, we all look at the coming year. You certainly remember that at the beginning of this year we announced the presence of the Antichrist and the False Prophet who had been nominated by Lucifer; they have expressed their power but the esoteric power, the powerful investiture of Lucifer, is not acting yet; during our preparation we shall open up completely to Jesus Christ and to His action within us. To prepare to receive the grace of this Christmas we need the help of the Mother of Good who welcomed the Son of God and the life of God in Her soul and in Her body to give them to humanity in this Christmas once again. The entire universe must emerge and show its face. In today’s mass, in the first reading of the book of Sirach, we have heard that Elijah came like a fire; his words burned. We have already said that there are three laws in the universe: light, vibration and fire. Scripture says that the Word of God supports the whole universe. The Word supports the whole universe with His word and His vibration. This vibration is pure love, perfect love. We, and the whole history of the universe, have reached the point of judgment because we know the responses humanity has given along the history and also that of the angels; we know how corruption entered the world and the universe and we know that Jesus Christ has come to restore order in the whole universe and lead us to God the Father. The times we are living in are leading us to the recapitulation of all things in Jesus Christ, the King of the universe; we have reached the time in which God asks each man, each soul, each being to make his free choice, and grace will be given. Then each one has to decide as we have heard in the message: choose and take your position. Besides what God has foreseen for us, we can choose to enter the full light and the perfect love through our own choice. In the time of the glorious manifestation of the Lord all children will shine: the living, the deceased and the angels, whereas those who are darkness will have to manifest themselves as children of the darkness according to their choice. As we have said many times, everything is being accelerated now: the children of the light are moving towards the perfect light, the new creation; the children of the darkness are going towards the cosmic nothingness. We have explained to you the process man goes through from the moment of conception up to the fulfilment, and today we understand that fulfilment means entering the pure love of God through the pure laws of the Holy Spirit. When the manifestation of the children of God takes place, also Our Lady will manifest herself in all Her splendour, full of grace, in Her mission as Mother and Queen. Everything, angels, men and all creatures, will have to appear in God’s light and harmony to reach the new creation. Mary’s manifestation has matured as the recapitulation in Christ of the whole universe has matured. It matured in the hearts of the saints along the history of the Church, and it matured in the apparitions. 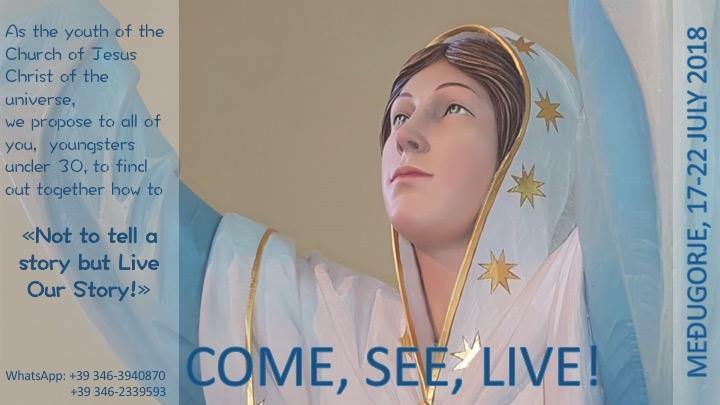 We contemplate especially the apparitions of the Queen of Peace in Medjugorje and all that has been entrusted to the new people. 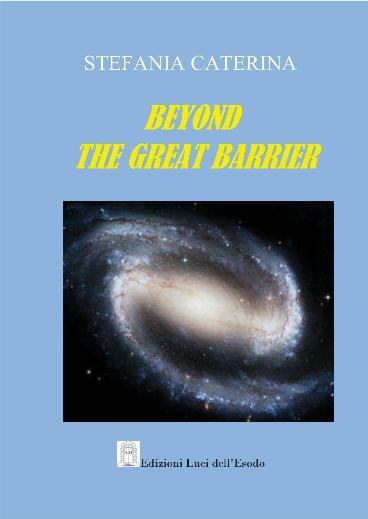 In the book “The Universe and Its Inhabitants” particularly the mystery of the apparitions of Our Lady in Medjugorje is explained; the reason why She has come is the recapitulation, the reunification, of the whole universe in Christ involving all of us so that through Her apparitions She may enter our hearts and our relationships and be with us. The apparitions are a special grace and their purpose is to lead us to a life with Our Lady. The whole history of the Church on Earth gives testimony of the greatness of our Lady but this appears most in the saints. All saints underline some elements. One element is that Our Lady is more powerful than all saints, and that the souls who are called to high service can reach the mystical union with Christ only through the mystical union with Mary. Through Her Heart we can lift ourselves up to the dimension most suitable to us according to God’s designs. The Archangels and the angels give their special testimony to us as we are in the material dimension because of our body. It is surprising that St. Michael and the seven great Archangels call Mary Most Holy “Queen and Mother” and that they consecrate themselves to Her Heart when they descend to Hell to fight the demons wearing the scapular, Mary’s sign of protection, to face the enemy forces. This tells us that all instruments in the hands of God, especially the angels and men, who are called to collaborate with the Creator, with the Saivour, with the Sanctifying Spirit, pass through the Immaculate Heart of Mary. The testimony of the Church is strong; we can sum it up with the attitude of Pope John Paul II who consecrated himself to Mary, “Totus Tuus, o Maria”. Here we must also underline the theology and the red thread expressing the approach of the great saints. We can find it in the book of Luigi Maria Grignion de Montfort “Treatise on True Devotion to the Blessed Virgin Mary”; this man has been proclaimed a saint by the Church which means that his thoughts, his behaviour and preaching have been confirmed by the Church. In the message we have received on 14 October of this year, Jesus invites us to strip ourselves of all ideas, then He adds these important words for us to reflect on. Stefania Caterina: It is a passage taken from the message of Jesus of 26 November, 2017, for the Solemnity of Christ the King. “I also tell you that I need your sublime prayer. From this people and each one of you I expect a truly sublime prayer, a great prayer. Therefore, I invite you to liberate your prayer from all your human intentions as they are useless. Start from today to pray according to the intentions of My Mother and stop laying your own intentions before Me. Your intentions may be completely wrong, distorted by your ego and your humanity, by what you consider to be right. This is no more the time to ask for what you think is right. Father Tomislav: Jesus’ words are very important for us. We have explained to you that when the soul says yes to God in the moment of conception, the Father entrusts it to the Son but the Son entrusts it to the Mother. Like a mother receives the seed of life, guards it, nourishes it with her blood and gives body and life to man, in the same way the Mother is essential to each one of us as Mother and Queen. Mary is not God; She is a creature but a perfect creature who relates in the perfect way to God the Creator, God the Saviour and the Holy Spirit, and the Most Holy Trinity acts in Her in favour of each one of us. The Most Holy Mother knows the originality of each one of us, our choice at the moment of conception, our path, and She knows what we need. Her prayer is very powerful and rises up to the Son and through the Son to the Father. The Father, in the Holy Spirit, sends us what leads us to perfection and fullness. In the same way as God the Father is important in the natural order, the Mother is important, too; not because She is God but because She is perfectly united to God through Her immaculateness; She is the new Eve; the new Eve and the new Adam who act in us. Thus, here it is very important that we begin to pray in a practical way. We cannot replace God with Our Lady. Our Lady bows before God; She is the Servant of the Lord. She prepares us and welcomes our intentions if we are free of our own desires which blemish our intentions. The prayers of the men of the Earth often deal with issues relating to their survival and the yearning for Heaven and eternity is weak. The religions of the man of the Earth have overshadowed the image of God. We, Christians, have received the Holy Spirit who reveals us the mystery, but by denying Jesus Christ and the Mother of God and forgetting the Holy Spirit and His action in us, we lose the true image of God. This is the time in which the games of the men of the Earth are finished; the games of human logic, human projections and false religious ambitions will be stopped. Then, for our personal benefit, for the good of the Church and the whole universe which belongs to Jesus Christ, and to the benefit of all the people God wants to save, it is very important that we lift ourselves up taking on the intentions of Our Lady. Once we have entrusted our intentions to Our Lady we may pray freely to our God in the way we always do, however, remaining in line with our decision by which – with the powerful help of the Mother – we allow God to exercise within us His omnipotence and His wisdom which perfectly know our needs and our destiny, and thus, we allow God to realize his will in each of us. The passages are subtle. We recommend again to practice the prayer in spirit that Our Lady explained to us in the first book “Riscrivere la storia – Nel pensiero di Dio”. No theory may help you, only your inner awakening and a sincere desire to be elevated in the dimension of the pure Spirit, in the laws of the pure Spirit. Let us listen to the recommendations of Our Lady. Stefania Caterina: The passage is taken from the message of Our Lady of 8 December, 2017. “Children, your yes to God must be eternal; otherwise you cannot testify that you belong to Jesus Christ. Faithfulness to God lasts forever; love, when it is true love, lasts forever. Today I call you to pronounce your yes to God forever. Do not be afraid of what I ask you! God will always give you the strength to renew your yes if you want it. He will always give you the necessary power to make His love vibrate in you. Then, your yes will become a force, regardless of what you do or do not do, of your works or your words. In fact, it will be the power of your yes to open the doors to the action of God and history to be rewritten. So it was for Me: My yes before the Archangel Gabriel caused the history of humanity to be rewritten. I ask you today to make your yes become so powerful that it will rewrite history “. Father Tomislav: It is important to say that Our Lady does not attract us to Herself but directs us to God through Her Son. To express our eternal yes means to renew as mature adults the original yes we have pronounced in the moment of conception through Jesus Christ in the power of the Holy Spirit; then, all our being will awaken and move directly towards eternity. The image and likeness to God in us will awaken and shine. Our Lady adds a further aspect which is that without belonging to Jesus Christ we cannot bear witness to Him. These words also touch several aspects of our reflection. Our elevation is important to be immersed in the mystery of life. Today the mystery of life is hidden and ignored in our society. The mystery of man is neglected. As you have noticed, the Mother of humanity leads us to the mystery. The key, the light, to enter the mystery is pure love; therefore, She calls us to elevate ourselves to the pure love, through Her Heart, to reach the pure love in Her Son. The whole people of God reunited in Christ will then have the Trinitarian power, a vibration which will clash against all that comes from Lucifer, that is, through the False Prophet and the Antichrist; in the light of pure love all will be judged and, as we have seen, Lucifer, too. The more this pure love increases and is expressed by the people, the more death will move away from us, and those who have chosen death will end up in the cosmic nothingness. Thus, the whole new people is called to elevate itself through the Immaculate Heart of Mary and in Her intentions so that, once purified, it may reach the fullness in Christ participating increasingly in the Trinitarian action which leads us to the new creation. We are already assisting to signs of confusion. When the Antichrist and the False Prophet will be invested by the esoteric power, you will see how their action will affect and influence the souls. The signs that will be given will be understood by the people who elevate themselves, but the people who hate and are cold towards God and their brothers will understand nothing and stay down. Lots of false prophets will turn up and make themselves heard. Only the protection of Mary, as has been said in several apparitions of Our Lady, can defend us in this time: Her protection and Her immaculateness which lead us towards the fullness through Jesus Christ. I wish you, we all wish you a Happy Holy Christmas; may you be prepared to receive this grace through the Immaculate Mother and prepare yourselves for the coming new times to be ready to give your testimony to the people who are influenced by false masters, false shepherds, staying in the dark. The light of love may descend on you; in the name of the Father, of the Son and of the Holy Spirit. Riscrivere la storia – Vol. II – L’universo e i suoi abitanti”, Publisher Luci dell’Esodo.